A second Brexit referendum looks increasingly likely: what key questions need to be addressed? Widespread negative reactions to Theresa May’s Brexit deal have focused increasing attention on a possible further EU referendum. With MPs appearing poised to vote down the Withdrawal Agreement, a referendum could provide a way out of the apparent deadlock. But how would it work in practice? Ahead of the parliamentary debate, Meg Russell and Alan Renwick summarise the conclusions of their recent report on this topic. When the Constitution Unit published The Mechanics of a Further Referendum on Brexit in October, it was still unclear if the government would successfully reach a deal with the EU, what that deal would contain, or how parliament and the public would react. Now that those facts are known, increasing numbers of MPs are demanding that the Brexit issue be returned to the public in a fresh referendum. But many unanswered questions about the practicalities remain. Here, we offer short responses to the most pressing of those questions, drawn from our report, to inform the parliamentary and growing public debate. 1. Is a referendum possible in the time available? To hold a referendum, the UK parliament must first pass legislation. Before the bill leaves parliament, the Electoral Commission must assess the ‘intelligibility’ of the wording of the proposed referendum question – which usually takes ten weeks. This limits the ability to pass a bill very rapidly. Once the bill has received royal assent, sufficient time must be set aside to allow the Electoral Commission to designate lead campaigners, and for the campaign to take place. In total, we estimate that the whole process – from introducing legislation to polling day – could be compressed to around 22 weeks. This is significantly less time than for previous referendums: for example the equivalent gap for the 2016 EU referendum was 13 months. But similar levels of urgency did not apply in these earlier cases. How and when might a second referendum on Brexit come about? Today the Constitution Unit launches a report on the possible mechanics of a further referendum on Brexit. In the last of a series of posts on this topic, Meg Russell, Alan Renwick and Jess Sargeant sum up the report’s findings, focusing on how a referendum might come about, what question would be asked, and the implications for referendum timing. 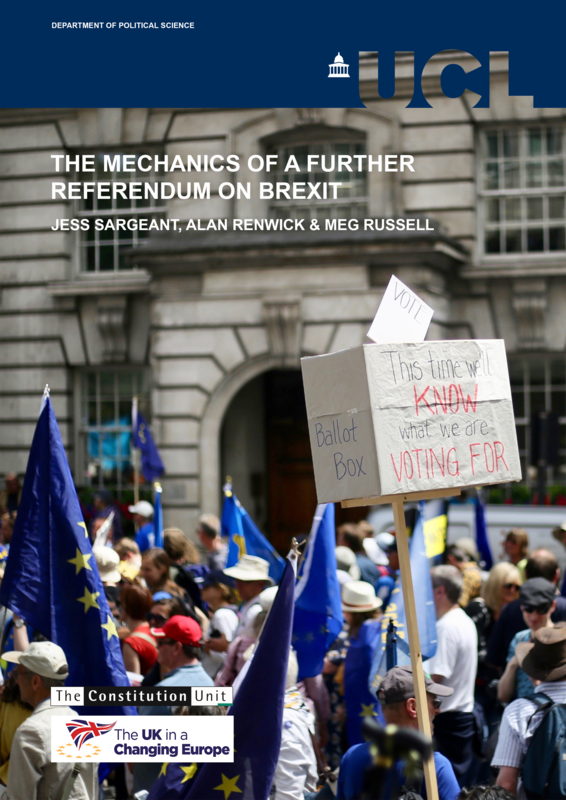 Our new report, The Mechanics of a Further Referendum on Brexit, is published today. 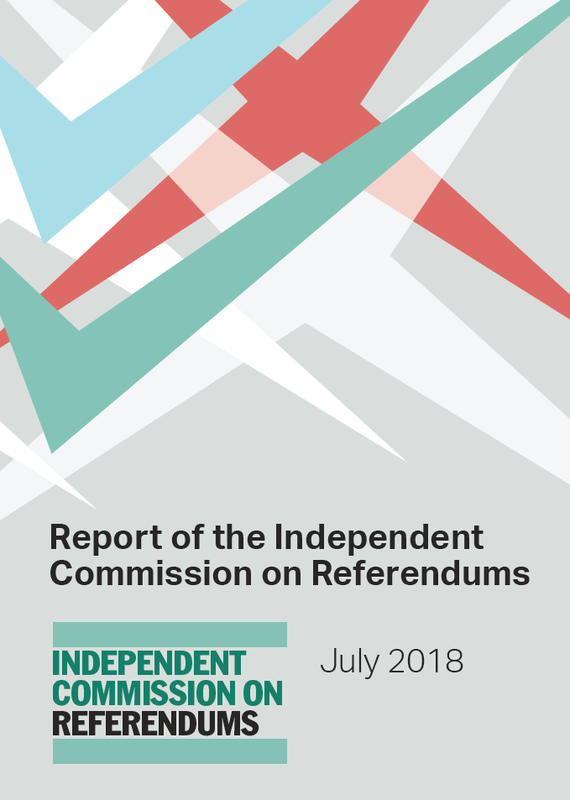 While the report takes no position on whether a further referendum should be held, it explores the constitutional and legal questions that politicians would need to consider if proceeding with such a poll. Earlier blog posts in this series have considered the timetable, the possible triggers, the referendum question, the legal and regulatory framework, and the implications of extending Article 50. This post, based on the final chapter of the report, draws all this material together to consider how and when a further referendum might occur. It would take at least 22 weeks to hold a referendum, following parliament’s initial decision. This is required for passing legislation, question testing by the Electoral Commission, and preparing and holding the campaign. An extra six weeks might be needed if a three-option question were used. This implies that Article 50 would need to be extended, but this should be easy to achieve. The biggest complication is the European Parliament elections, due in late May 2019. Given the planned parliamentary processes around Brexit there are five basic scenarios in which a referendum might be triggered – these are examined further below. There are three viable options to put to a referendum – accepting the government’s deal with the EU (assuming there is one), leaving without a deal, or remaining in the EU. A yes/no vote on the deal would be unwise (as the meaning of a ‘no’ vote would be unclear). A two-part referendum would also be problematic. Hence the public might be offered the choice between two options, or all three options, in a single-question referendum. The franchise for the poll should remain the same as in 2016, to avoid exacerbating arguments about legitimacy. Some updates to regulation (particularly regarding online campaigning) would be advisable. The judgment of the Supreme Court in R (Miller) v Secretary of State for Exiting the European Union required the government to seek parliamentary approval (through legislation) for the triggering of Article 50, which formally started the Brexit process. In this post, Mark Elliott, Jack Williams and Alison Young argue that parliament has failed to capitalise on the court’s decision and that it is the executive, not parliament, that is truly in control of the Brexit process. Whether you like your Brexit ‘hard’, ‘soft’, or ‘red, white and blue’, one thing is clear – this will be the executive’s Brexit. Despite the Supreme Court decision in Miller handing parliament a golden opportunity to shape Brexit, Theresa May’s government has been in the driving seat, largely unimpeded, ever since the 2016 referendum in favour of leaving the EU. Parliament has consistently been a passenger. The first pitstop on the executive’s journey to Brexit was the triggering of Article 50. As is by now well known, the government claimed that it already had the power to trigger the process of the UK’s leaving the EU by virtue of its foreign relations prerogative. Indeed, the government’s initial intention was to trigger Article 50 by the end of 2016, necessitating an expedited process in the Miller litigation, leapfrogging the Court of Appeal to ultimately reach the Supreme Court by the end of the year. If one believes that the triggering of Article 50 (in March 2017) was premature, then it is troublesome to imagine what would have happened if, in the absence of the litigation, it had been triggered six months earlier. One part of the government’s flagship Brexit legislation is now nearing its parliamentary endpoint after the EU (Withdrawal) Bill completed its report stage in the House of Lords in early May. The UK parliament’s second chamber inflicted 14 government defeats on the bill, which sets out arrangements to facilitate Brexit. It will soon return to the House of Commons for these various issues to be considered. 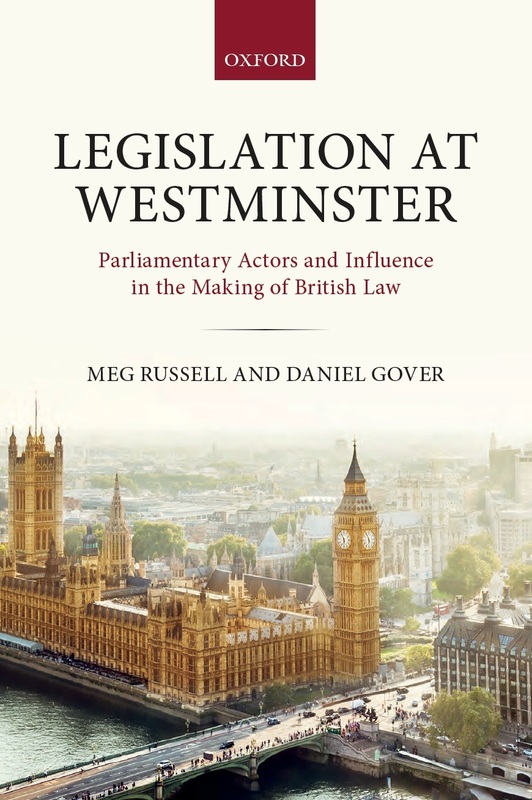 Meg Russell examines some of the issues this may cause for the House of Commons and parliament as a whole. The Lords’ interventions have led some to claim that this is a “peers versus the people power grab”, or even that the chamber is behaving in an “unconstitutional” manner. But while the current situation may be unusual, it’s not for the reasons many commentators claim. There are two scenarios for the way in which parliament’s handling of Brexit affects its position in the UK’s democratic system – one in which Brexit strengthens the executive, and one in which parliament emerges enhanced. Which of these prevails could have an effect long after the UK leaves the EU, writes the Hansard Society’s Brigid Fowler. If parliament has a ‘good Brexit’, it could strengthen its standing in relation to both the executive and the public. The UK’s vote to leave the EU was ‘a vote to restore … our parliamentary democracy’, the Prime Minister declared in her January 17 Brexit speech. Theresa May suggested that the UK’s possession of ‘the principle of parliamentary sovereignty [as] the basis of our unwritten constitutional settlement’ was among the reasons the country decided it cannot continue to operate inside a supranational framework. And yet this reaffirmation of the traditional role of the UK parliament, delivered as part of one of the most important prime ministerial policy announcements in a generation, was delivered in a building managed by the Foreign Office, not at Westminster. The irony has not been lost on many politicians and commentators reacting to Mrs May’s speech, including the Leader of the Opposition. 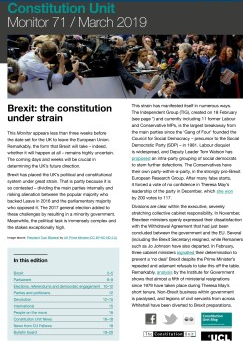 The disjunction seemed to encapsulate one of the central tensions in the Brexit process, namely its potential to either expand or undermine the role of parliament in the UK’s democratic system. Especially now that the arguments about process that surrounded the Prime Minister’s speech have been followed by the Supreme Court’s ruling on the scope of the government’s prerogative powers, they have refocused attention on the implications of Brexit for the legislature. Regardless of positions on Brexit, and the type of Brexit the Prime Minister has now said she will pursue, the EU referendum and withdrawal process represents a significant challenge to the UK’s traditional system of representative democracy. The UK is now embarked on one of the most consequential policies of its post-1945 history without this ever having been the policy of a government formed as a result of a general election. Before the referendum, EU withdrawal was the official policy of only two of the ten parties represented in the House of Commons (not counting Sinn Féin), mustering nine MPs between them (eight DUP and one UKIP). Taking Conservative, Labour and UUP splits into account, only 158 of 650 MPs – 24% – are reckoned to have backed ‘Leave’. The proportion of peers backing Brexit was probably even lower. The UK decision to withdraw from the EU: parliament or government? In light of the ongoing legal hearing on the triggering of Article 50, Piet Eeckhout, Professor of EU Law at UCL, examines Article 50 from an EU law perspective. He explores what the UK’s constitutional requirements for leaving the EU entail, noting that parliament has a role to play in any withdrawal decision. The litigation concerning the triggering of Article 50 is underway. It is the constitutional case of the century. The government’s skeleton argument has been published. This reveals that one of the pillars of its defence is that the decision to withdraw from the EU has already been taken. Consequently, all that is in issue is the authority to notify the EU of that decision, and to start the two-year negotiation period provided for in Article 50. That, the government’s case goes, is a decision of high policy which is rightly in the government’s hands, and not in those of parliament. 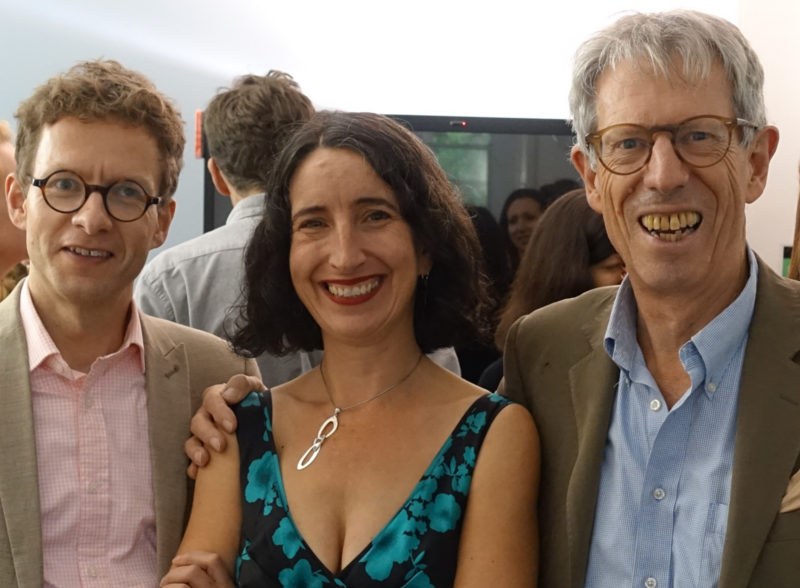 In an excellent blog Mark Elliott and Alice Young dissect and critique this framing of the litigation. They point out that it is difficult to identify who took the momentous Brexit decision, given that the referendum was advisory and there is no formal government decision either – only political statements. Their critique is informed by UK constitutional authority. In this blog I also want to focus on this question, but more from an external and EU law perspective. The theses I want to present are twofold. First, and at the expense of coming across as completely divorced from reality, I argue that there is as yet no Brexit decision. Second, if the principle of UK parliamentary sovereignty is to continue to have real meaning, the decision has to be taken by parliament, not the government. Ever since the debate about the respective roles of parliament and government in the Brexit process gathered steam, there has been an excessive focus on the notification question: is it for the government to ‘trigger’ Article 50 by notifying the EU, or is it for parliament? This kind of framing of the debate overlooks the wording of Article 50. The first paragraph of that provision proclaims that ‘any Member State may decide to withdraw from the Union in accordance with its own constitutional requirements’. The second paragraph states that ‘a Member State which decides to withdraw shall notify the European Council of its intention’. So first, there must be a constitutionally orthodox decision to withdraw. The notification is secondary.